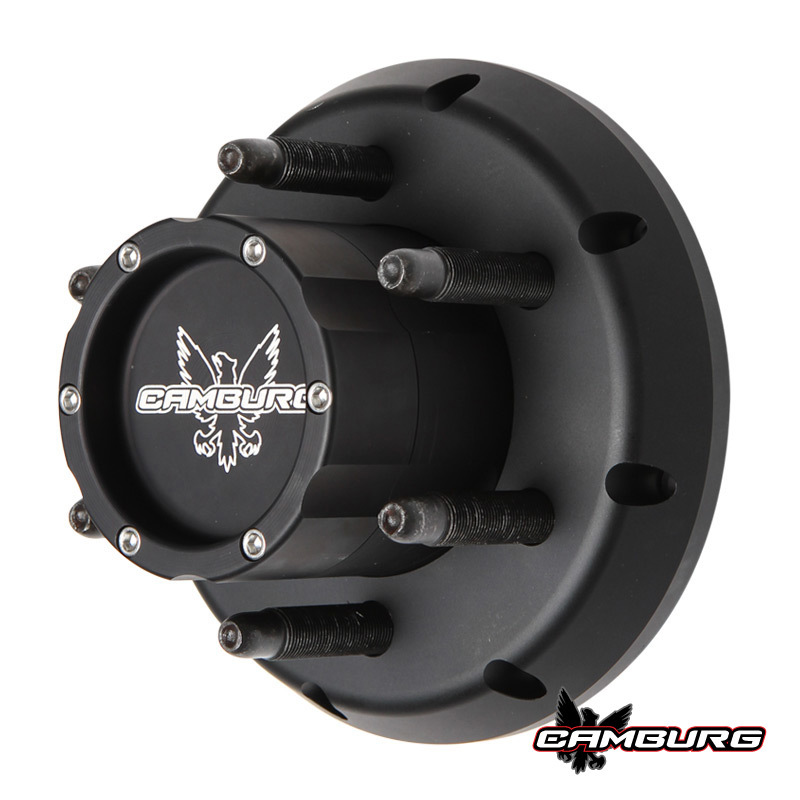 Here’s our Camburg 2.00 front hubs available in the 5 on 5.5″ and 6 on 5.5″ bolt pattern. 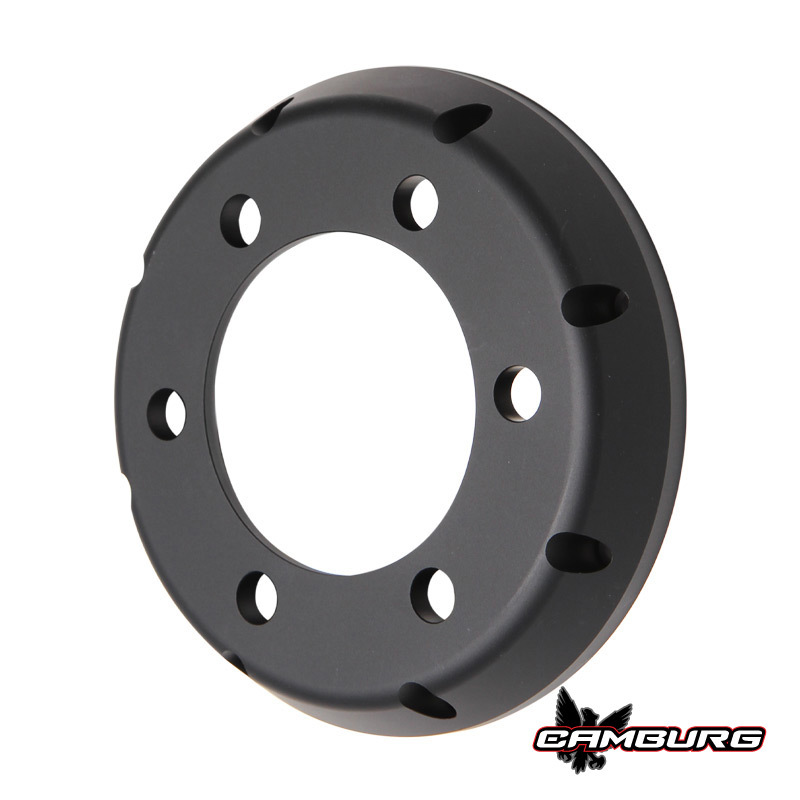 We also offer these in two different off-set wheel mounting positions depending on what you need. 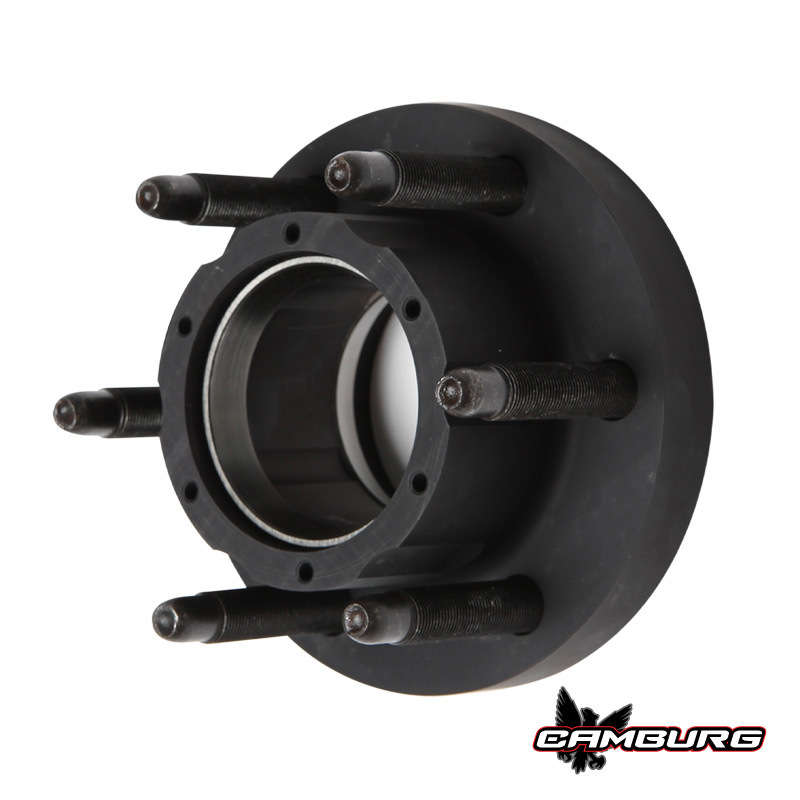 The centered version is our most common and gives the most brake caliper to wheel clearance. 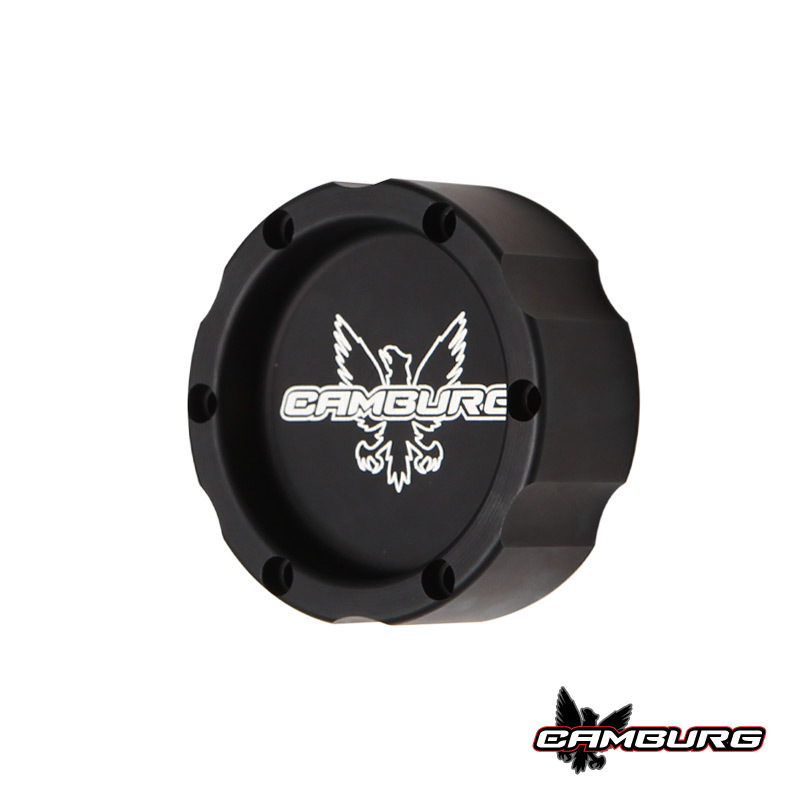 We CNC machine the hub in-house from 6061-T6 aluminum, then bead blast and anodize them matte black. Our wheel studs have 5/8-18 threads. We use Timken bearings and races along with SKF seals. The 4.25″ hub-centric center caps round out the package with all the necessary hardware and bearing spacers. To complete this setup you’ll need the weld-in/bolt-on snouts, rotor adaptors and our custom axle/spinde nut wrench.